Since 1977, The Bee Man has been providing professional yellow jacket, bee, and wasp removal and control services. We serve communities around Southern California including Orange County, Los Angeles, San Bernardino, and Riverside. 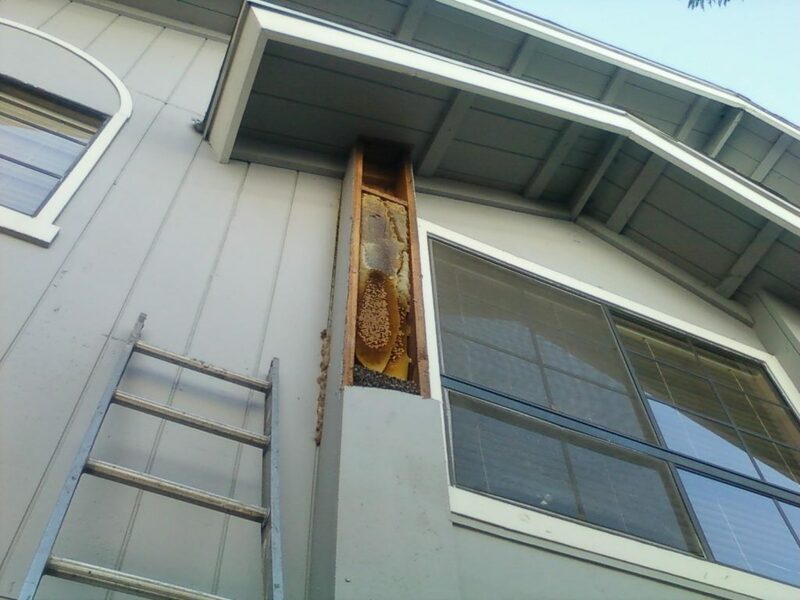 As a licensed, insured and bonded agency, we know the urgency of bee-related issues. That is why we offer 24/7 yellow jacket, bee, and wasp removal services. We also provide free phone estimates as well as volume, church, military, and senior citizen discounts. Contact us today to know more about our services! The technicians were very professional and showed up on time… Excellent service! …We will happily continue to use them as our vendor and I would recommend them to others. Kudos to The Bee Man! They were very veteran friendly. They listened and taylored their sevices to our needs and schedule. My experience was fantastic, and the technicians were very helpful…. I was so pleased with the service and responsiveness. I’m allergic to bees and unsure if my toddler and baby are too. I’m glad I didn’t have to find out this week! Thanks The Bee Man! Came out last minute on a Friday night and rescued us for an event planned Saturday. Great service! Found a new hive in a drainage pipe at our house yesterday afternoon. The Bee Man sent Steve & Jeremy out within two hours of the call. They were courteous, professional and done with the job in about 30 minutes. Great service! 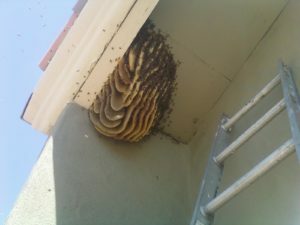 Called on a Sunday morning, was there by the afternoon to take care of a new swarm of bees forming on the house. Explained everything well, and had no problems since. What Can I Do To Remove Bees/Wasps Myself? 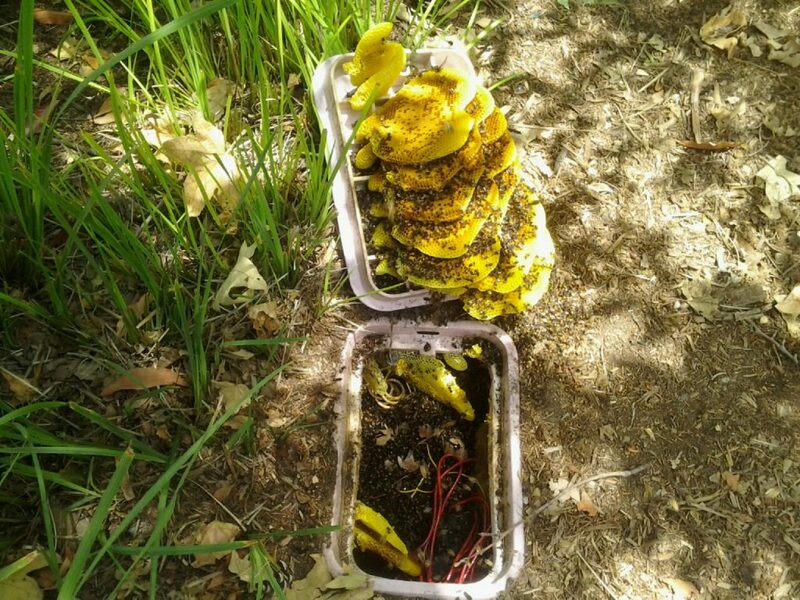 We strongly urge you NOT to disturb any bees that have created a hive. 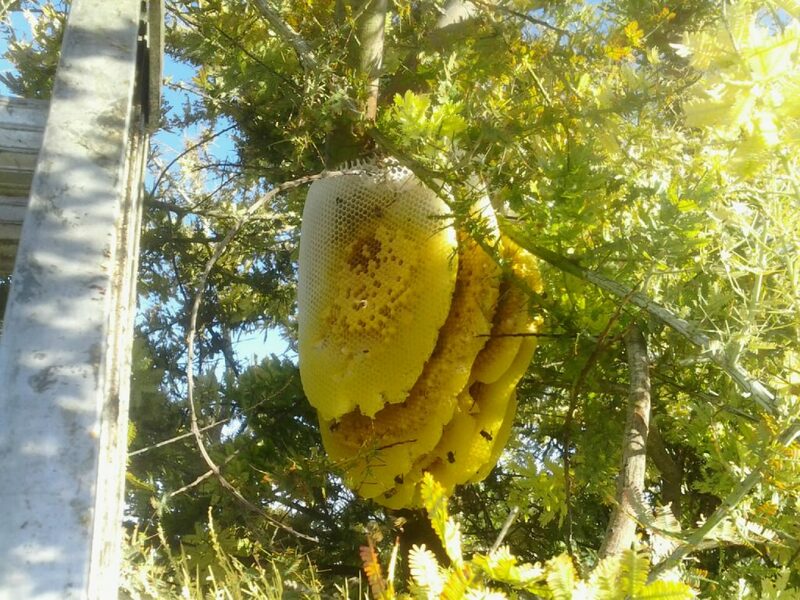 If you notice bees have been scouting around for a few days, there is a chance they may leave on their own. 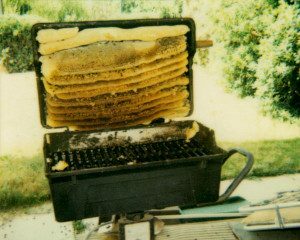 However, if they decide to bring the entire colony, then you’ll need to have our bee and wasp exterminators address the problem as soon as possible to minimize property damage. 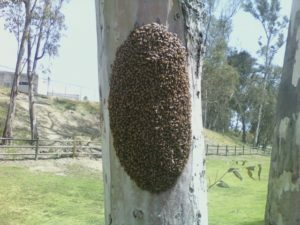 Bee swarms are very common and can, in some cases, resolve themselves without intervention. Bee swarms are a colony of bees which protect the queen until the scout bees find a good place to make a hive. 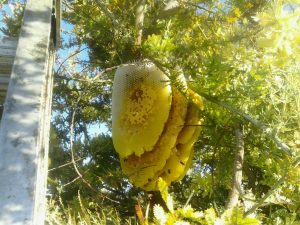 If no ideal hive location is found, the swarm will then take up residence where they are. The process usually takes about 1-3 days. So, if the swarm you notice is three days or less, you may want to wait to see if the bees decide to stay put or leave. When in doubt, call us. 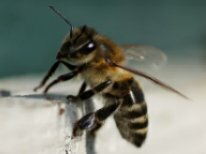 How Is The Bee Man Different Than Other Pest Control Companies? The Bee Man specializes in ONLY bees, wasps, and yellow jackets. In doing so, we’ve become a sort of “bee whisperer” and understand HOW bees think. Our technicians know not only how to remove bees most safely and humanely, but also how to help prevent future infestation. For more answers to your questions, click here for our FAQ. 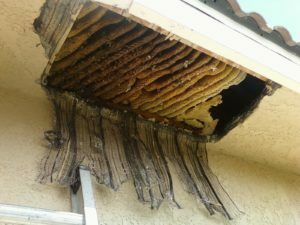 Over the years, The Bee Man has successfully provided professional yellow jacket, bee, and wasp removal and control services to commercial and residential customers throughout Southern California. Our services speak of the difference that we make in every community we serve. The Bee Man has been in business for more than four decades now. And throughout the years, our yellow jacket, bee, and wasp exterminators have handled the removal and control of different types of pests, including bee swarms, beehives, honeybees, yellow jackets, and wasps, among others. We provide 24/7 services to make sure that no one in our community gets stung. Our highly trained bee experts can determine what type of bees have infested your property, which phase of the bee infestation cycle you are, and what steps to take when bees swarm your property. Call our experts today! 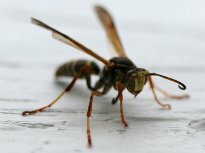 Are wasps invading your residential or commercial property? Fret not! Our wasp exterminators know the best ways to handle a wasp nest and identify the wasp. We are happy to help you eliminate wasp infestations in your home! Yellow jackets are extremely temperamental and should only be handled by professionals. 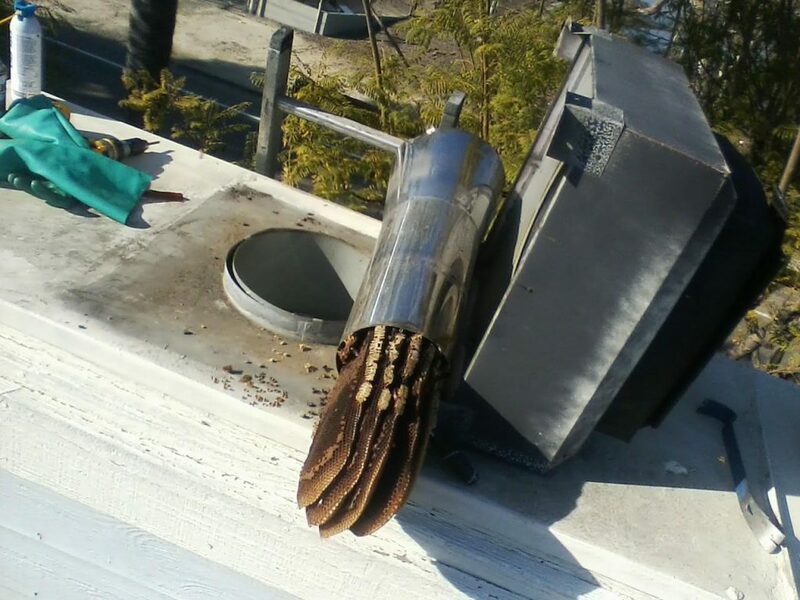 Trust our specialists to eliminate yellow jacket infestation in your property safely. Call us today, and get rid of yellow jackets and related problems! 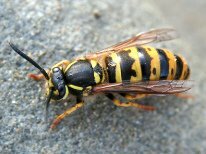 Let our yellow jacket, bee, and wasp exterminators eliminate current problems and prevent future infestation in your property. Call us now!